The last few months of school are just as important as the first few months. Teachers will start to cover topics/subjects that your child will see in their new grade next school year. Can you say "anxiousness + preparation"? Introverted/Extroverted wife and mom to a college kid and raising an extroverted tween girl. Parents of school-aged children, we are in drought season. The season when the holidays and breaks are far and in between. That period when we've celebrated Christmas, New Year's, Valentine's Day, even a winter break thrown in. Parents, it's a long stretch before the next school break, probably spring break for most of us. Since the first 100 days of school are behind us now, what's next? Kids are probably getting anxious, not only for spring break but for summer vacation. I am certain parents are a bit antsy as well. Maybe not for the breaks but for the many things that will take place between now and the breaks. Soon the sun will grace us with its presence for longer periods of time. This does not mean that bedtime schedules automatically change. Kids still need the same amount of sleep in the spring just as they did in the winter. I always know when Tween Girl has not had enough sleep. She becomes very irritable and whiny. Kidshealth.org says that kids in Tween Girl's age range should sleep about 10 to 11 hours per night. I know that as the weather warms up, families will take on more activities. Just be sure that everyone is getting enough rest. While routines are important, it's also beneficial for parents to not over do it. Don't schedule this poor kid with tutoring sessions and a gazillion after school activities and then once arriving at home, more study sessions. Be sure to have moments when the kid can be a kid. Yes, I know, you are tired. After all, a parent can only help with so many projects, can only read so many book reports, can only look at yet one more report card, oh wait, progress report. Parenting a school aged child covers a lot of territories! But the minute you slack off, your child picks up on that behavior and decides to skip reading for 20 minutes one night or just happens to forget to use the study guide for Friday's test. Staying engaged does not mean nagging or even doing the work for them. 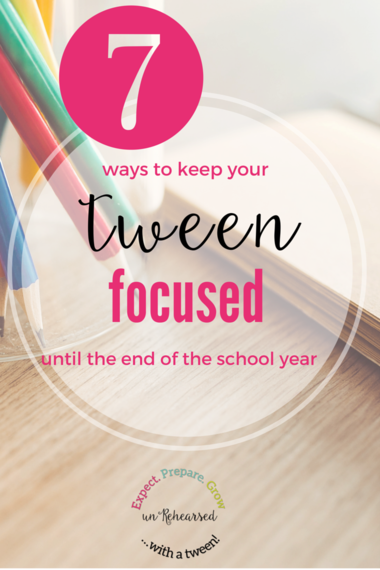 Staying engaged means that you know what's going on, like important dates, papers that need to be signed or supplies needed. These are things that can easily be jotted in your planner, paper or electronic. Set up reminders on your phone. Very important. Teachers usually have a preferred method of communication, either it's email, written notes, or phone. Keeping open communication with the teachers will allow parents the opportunity to know if the child has missed any assignments and if there are chances for the child to earn extra credit points. It also shows the teacher that you care and that you support her as your child's teacher. School support also helps to boost your child's confidence. Let your child know that you and the teacher communicate frequently. Kids know that teachers send notes home or make phone calls to the parents. It's a different story when they realize that the parent is also initiating conversations with the teachers. Tween Girl already knows that school attendance is priority number one in our house. She has only missed 2 days of school during the past 5 years. I am thankful that she is a healthy child. Even during those times when she is due for a physical or has a dental appointment, I make sure those are scheduled at a time that will allow minor disruptions to school attendance. I want to make sure that she is there for any instruction done by the teacher. Being absent or late throws you off your game. Being absent or late means that you have to play catch up. You may miss key points of a teacher's delivery of a new subject. I remember the first time I said this to Tween Girl. She was learning how to ride her bike without training wheels. At the time, we lived in an area with a lot of hills. I watched as she loved flying down the hills but whined and cried when she had to push the bike back up the hills. We talked about how fun it was to ride down those hills, her learning how to use turn the steering wheel around the curves of the sidewalk and using the brakes the right way. But before she could enjoy all of that, there were some pain points that she would not be able to ignore. Same thing with school. Pain is pain. The pain of writing yet another nightly summary. The pain of taking yet another accelerated reader exam and hopefully moving up on the Lexile ladder. Grant it, some of this may not be a pain for some kids. Tween Girl enjoys reading but doesn't really enjoy writing those summaries. Without the pain, how would she become a better writer? Parents can be guilty of being bitten by the spring bug, see me raising my hand? I love spring, it's my most favorite season of the year. And yes, my attitude changes into being a bit more slack with getting things done. Knowing this, I have to concentrate on keeping my momentum going because I know she (Tween Girl) is watching, she's always watching. Kids are like sponges, they soak up the good, bad and ugly. As long as they are soaking up information, may as well be good information from their parents. 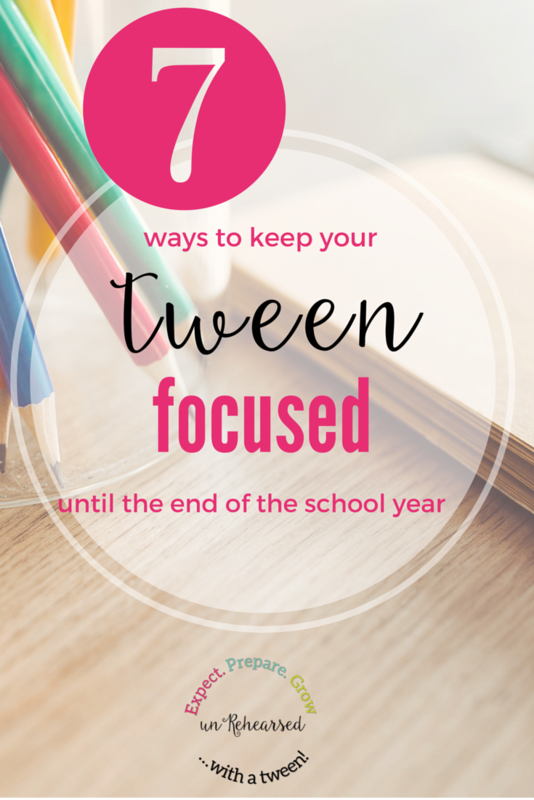 There's still time to make the most of the remainder of the school year. It will require focus from both the parent and the child. Remember, put in the work beforehand to reap the sweet spring and summer vacation rewards. Have you already planned your summer vacation spot?